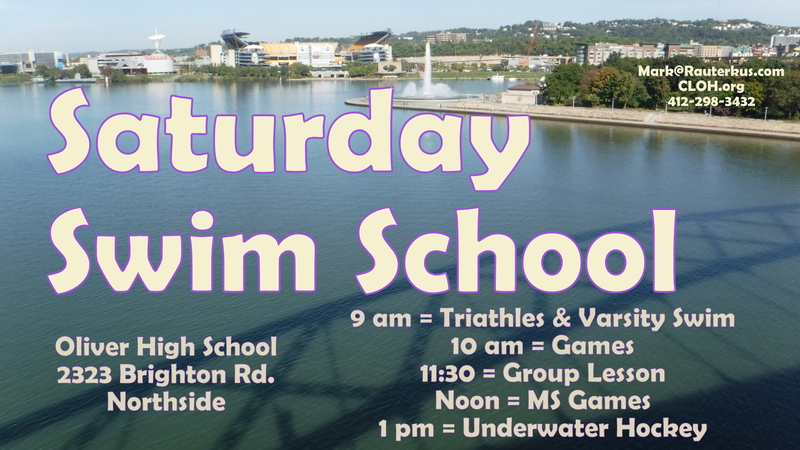 9 am for adults, triathletes, and high school swimmers. 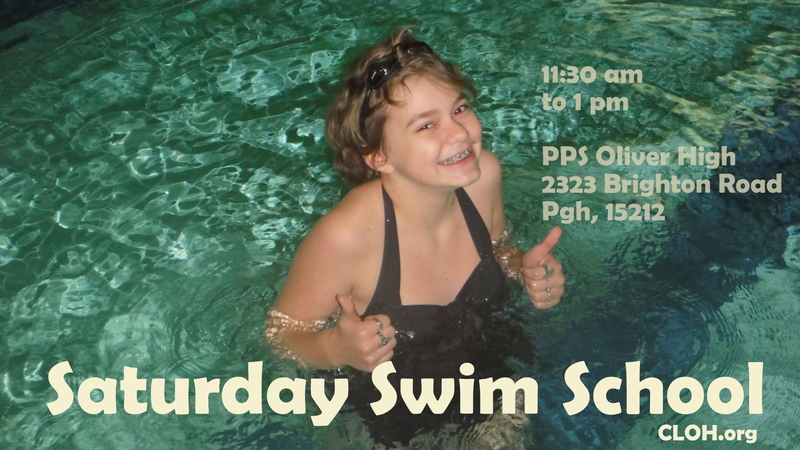 11:30 am to 1 pm for middle school students, mentors and guardians. 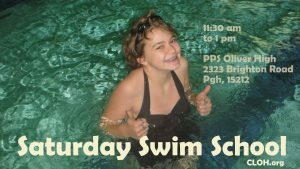 Get your swim suit, friends and willingness to play well with others and join us on Saturdays at the swim pool at Oliver High School, Northside, 2323 Brighton Road, Pittsburgh, PA, 15212. Advance sign-in with this form helps. Check the CLOH.org Google Calendar to confirm events are happening each week. Plenty of free parking is on campus at Oliver High School. Use the park lot located near the the loading dock, to the north of the school, away from town. Enter the doors to the rear of the building up a sidewalk to the right. Those doors lead into the school by the gym and swim pool. 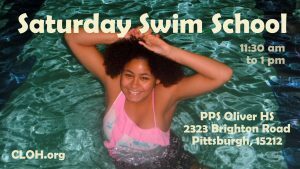 To get to the pool, go down the steps and pass the locker rooms. Watch for signs. 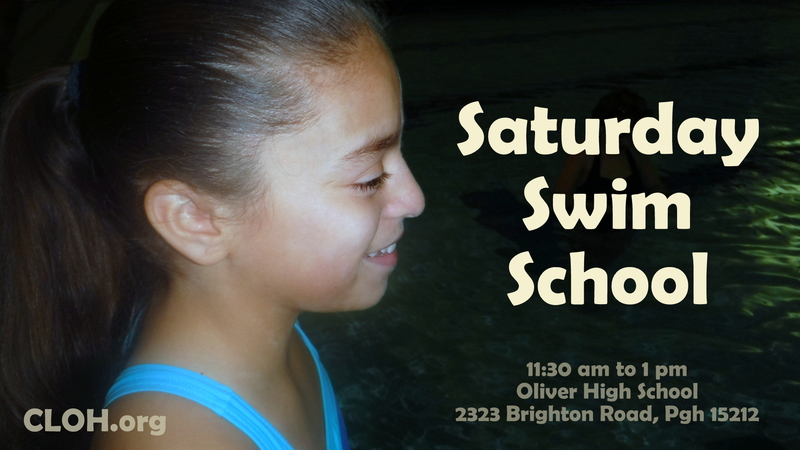 Be sure to arrive at the Northside’s Oliver High School, the site of our Saturday Swim School. Do NOT confused the venue with the South Side’s Oliver Bath House, a Citiparks facility. 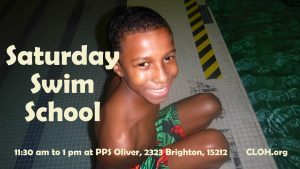 Oliver was a traditional high school in the past and Oliver is part of Pittsburgh Public Schools. 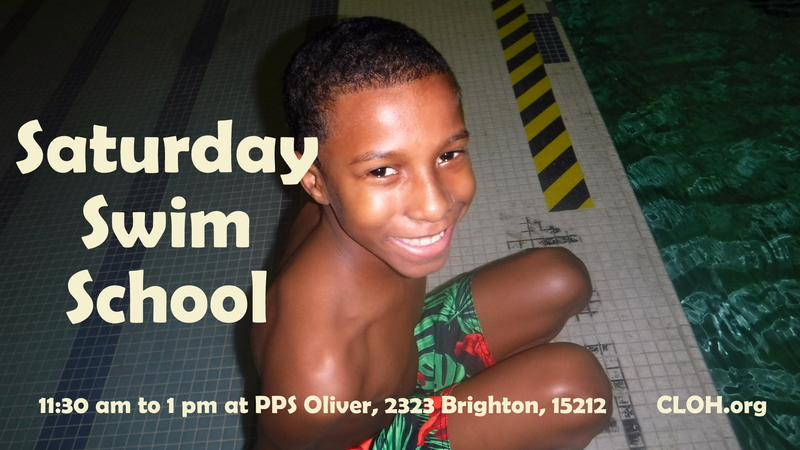 The official name is Oliver Citywide Academy. Outside cold weather make it too windy, cold and damp to take that long run. On March 11, you can do a 1-mile time trial, or bring your own workout.